Paola Santa Cruz was born in Peru into a family of Spanish origin. She initiated her dance training with classic ballet at the age of five. Later begun her flamenco studies with gypsy dancer Pepe Amaya, niece of legendary dancer Carmen Amaya, she has since trained with some of the best dancers in Spain. 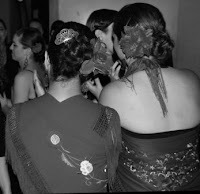 Paola formed part of the Company "El Mirabras" in Rome and performed at the famous tablao Cantares in Buenos Aires. Theatre performances include Teatro Olimpico in Rome, Peacock Theatre in London, Teatro Avenida in Buenos Aires, Siri Fort Auditorium, India Habitat Centre, and Instituto Cervantes New Delhi Auditorium. Her work in India include her acclaimed production of India to Spain: A Journey of Gypsies which toured serveral theatres. 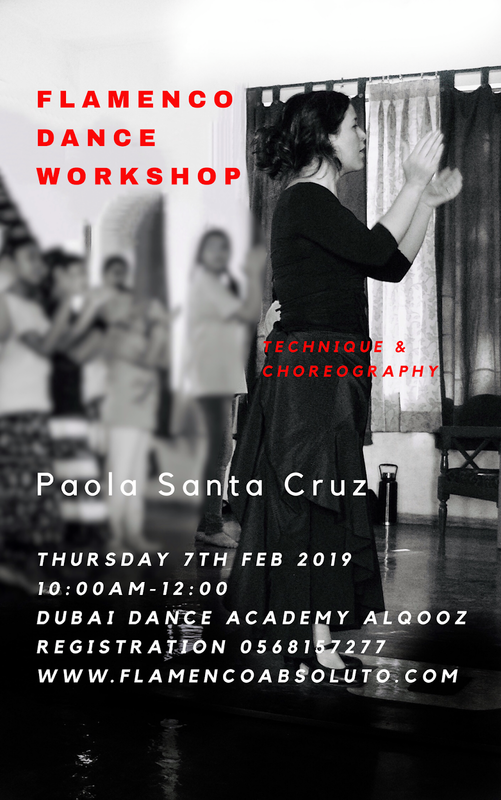 Paola established the first traditional flamenco school in India introducing this art form to many, including professional Classical Indian dancers. 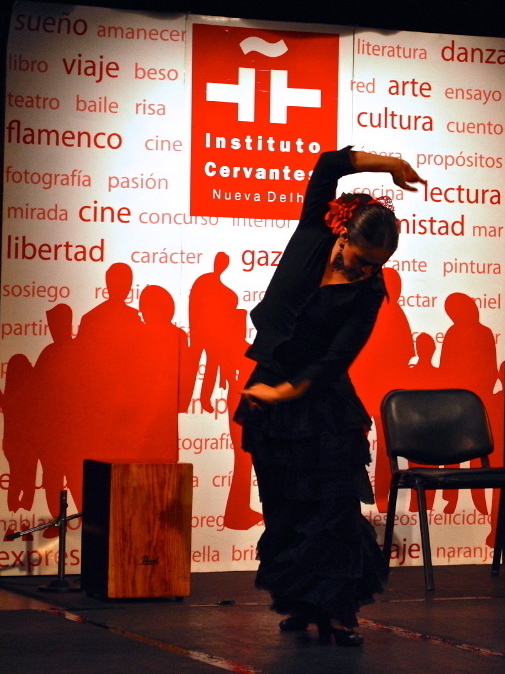 Paola collaborated with the Instituto Cervantes - Nueva Delhi both teaching flamenco dance and regularly performing at the Instituto's Auditorium. Paola is keen on exploring different forms of fusion with dance forms as diverse as kathak, Tudor and barroque. In addition to her teaching and performing Paola has worked to introduce flamenco dance as a performing arts into schools. Recently, Paola was invited by the Instituto Cervantes -Embassy of Spain in India- and the Nimrana Foundation to choreograph the ballet of the opera La Vida Breve by Manuel de Falla, which premiered in New Delhi in April 2017.